My Gunung Kidul caving trip started today and it was amazing. 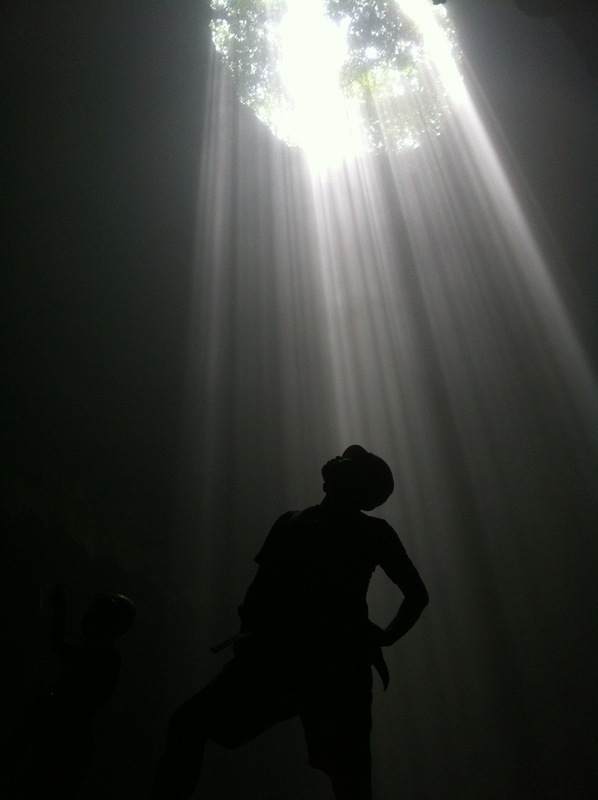 This picture was taken in Jomblang cave, part of hundreds caves in Gunung Kidul. The cave has an area named Luwung Grubug Jomblang. This spot is very unique as it has a collaboration of steam from the hard stream underground river and just enough sunlight coming from a natural hole above the cave. They collaborate to create a unique ray of light, just like what we see from above picture. Not many caves in the world has similar view. If you are interested to visit Goa Jomblang, please contact the owner of Jomblang Resort, Cahyo Alkanta through Twitter @cahyoalkantana or call +62811117010. My Gunung Kidul trip was part of Blacktrail program, managed by National Geographic Indonesia and L’oreal Men Expert. Learn more about Blacktrail here. Previous post ← Hari Ini Saya ke Goa Gunung Kidul!